This stuff will grow outrageous plants, be it vegetables in containers, raised beds or in the ground. You will not be dissappointed. For working into the native soil when plantiing new trees and shrubs, or anytime you want the plants to be stunning, this is the product. 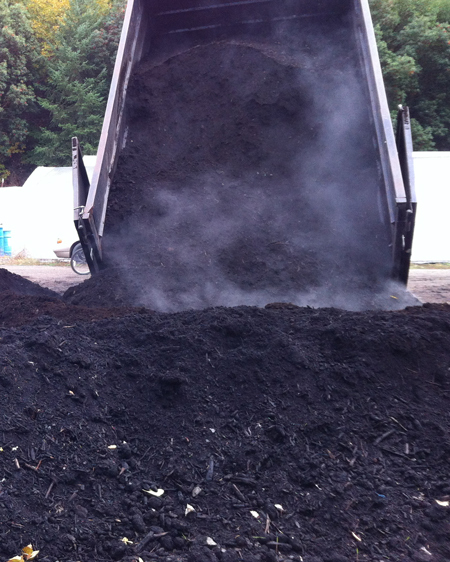 Screened to 1 1/4" and minus, it is a clean and consistent compost. Bulk quantities, available for local pickup, or local delivery with 10 yard minimum. Delivery: $40/yard. $400 or 10 yard minimum for deliviery. 14 yard maximum per truck load. In the highest effort to reduce fuel use and decrease our carbon footprint, we will only deliver within a 50 mile radius from the Nursery. Of course, special cases may be considered! We love providing folks with our quality products, and we are always open to discussing your needs and evaluating how we can help! After placing an order with us for your compost delivery, please place a bucket upside-down with a rock on top of it where you want us to deposit the compost when we arrive! 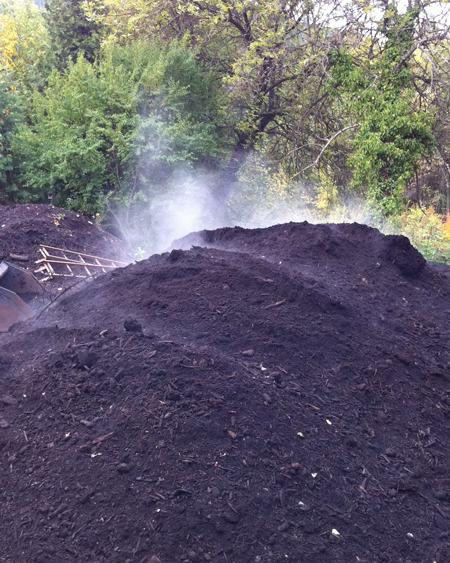 The best day and time to pick up compost is Saturdays from 9:00am to 4:00pm. If you would like to pick upyour compost at any other day or time, please call us at 541-535-3531 to make an appointment. For directions to the nursery, click here. Categories: All Plants, Broadleaf Evergreens, Conifers, Deciduous, Fruit Trees, Herbaceous Perennials, Landscaping Supplies, Native Plants, Restoration Stock, Specials, More..